Published on November 24, 2014 November 23, 2014 by Kristina @ Family. Work. Life. Lots of recipes claim they can be cooked in 20 minutes or less. Some nights are so busy, even that’s too long. “Surviving Dinner” is a series that is not about good wifeing, mothering, or cooking. It’s about surviving. It’s for those nights when you’re tempted to write “fast food” on the menu, but cooking at home will save you a few dollars, a few hundred calories, and loads of mommy-guilt. Recipes found here can be cooked quickly and have minimal prep and clean-up. Some may require a little pre-planning, but many won’t. Turkey sandwiches, turkey soup, just plain leftover turkey and fixin’s…it’s that time again! I LOVE Thanksgiving. I love cooking, I love visiting, I love relaxing, I love the parade, I love eating, I love leftovers, and while I could live without football, it makes the rest of my family happy so I guess I love that too. Today’s recipe is a new way to use up and store your turkey day leftovers. You’ll have a delicious pre-made casserole all ready in your freezer for a busy weeknight when you don’t have time to cook…and you know there will be a few of those coming up as we get deeper into the holiday season! You could even make this if you’re hosting a small holiday gathering and want all of the traditional flavors without all the work. 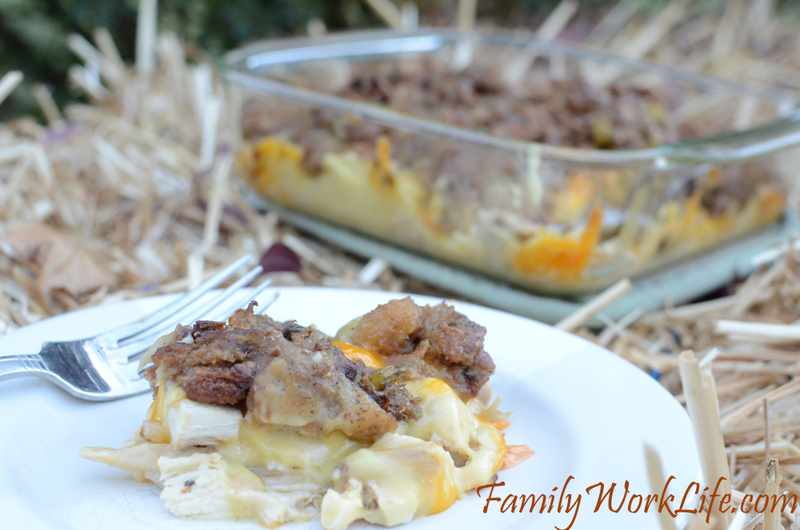 Combine this casserole with Taste of Home’s Duo Tater Bake and you’ve got a complete Thanksgiving meal wrapped up in 2 make-ahead dishes! If I’m making this recipe outside of the holidays I’ll just roast a chicken and use the meat in place of the turkey, and mix up a quick box of Stove-Top stuffing in place of the real thing. 1. Grease a 9×13 pan. 2. Layer the following: turkey, cream of chicken soup, cheddar cheese, and stuffing. 3. Cover with foil and place in the freezer. 4. Remove from freezer about 2 days before you’re ready to cook it and place it in the fridge to thaw. 5. Bake at 400 degrees (covered) for 30-40 minutes. Remove the foil and bake for an additional 10 minutes. It’s done when the top is browned and you can see the chicken soup in the lower layer bubbling nicely. If you are baking it right away your baking time will be reduced to around 30 minutes total. Wondering what I’m doing here? 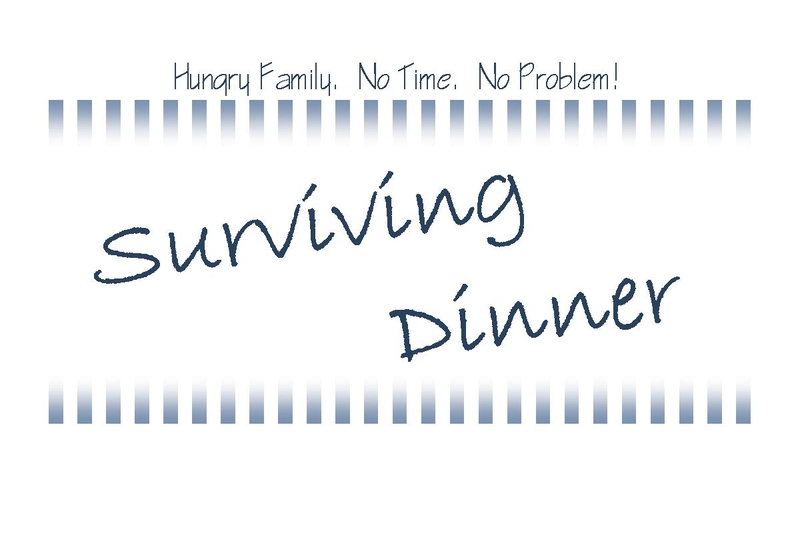 Learn more about the idea behind Surviving Dinner.